Brand new dress, tags are still on it. The tag says off white, but I would say it’s closer to white. 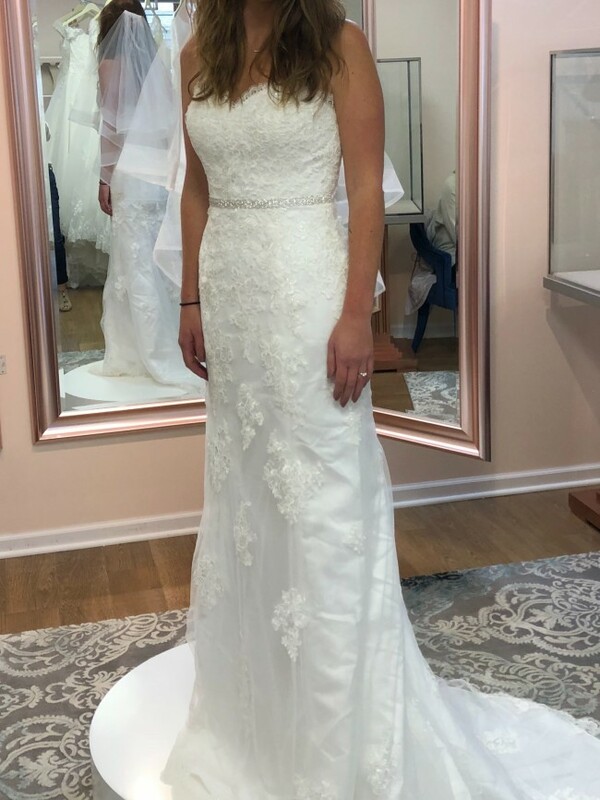 My daughter changed her mind on the style she wanted after purchasing this dress.